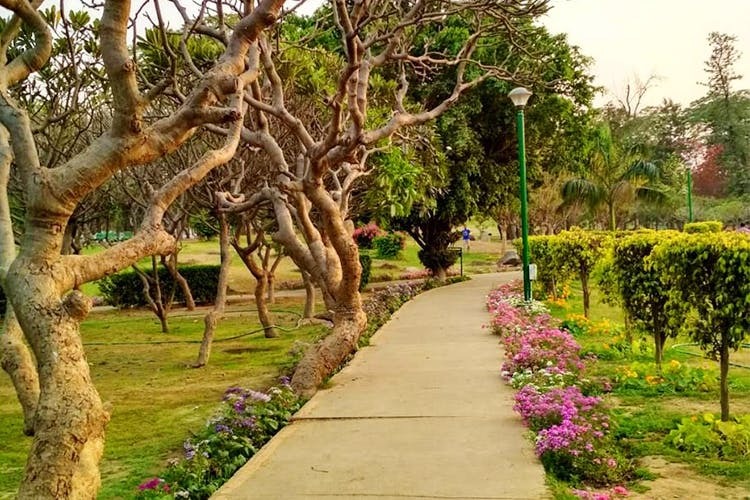 Nehru Park is one of the biggest and best-maintained public parks in New Delhi. So, if you’re looking for a lush space for a picnic plan or a morning stroll, we say you head over now. Nehru Park is open every day of the week till 8pm. It’s spread over 80 acres and has concrete pathways for you to get your jog on. You’ll also find two open air gyms and, quite obviously, a whole lot of green space to stretch, exercise, and even play a game of cricket or football (or frisbee?). The location is central, too, so it's quite accessible. The park is also great to take your dogs for walks—they'll be ecstatic when they see all that open space, so brace yourself—but make sure to clean up after them and keep the park in a neat, clean condition. Nehru Park also hosts a bunch of music and food fests throughout the year (especially in winters). Some of the best events hosted there include the Jazz Fest, Palate Fest, NDMC Art Fest, HT Imagine Fest, Maggi Fest and more. And, if there’s no food fest in sight and you’re feeling famished, run over to next door to Yashwant Place for amazing momo. Nehru Park doesn't have any gazebos or resting places, so if it rains, or you just need to take a breather after your run, you're out of luck. There’s a dedicated parking area as well, charged at INR 20/hour, so you can easily drive over here.